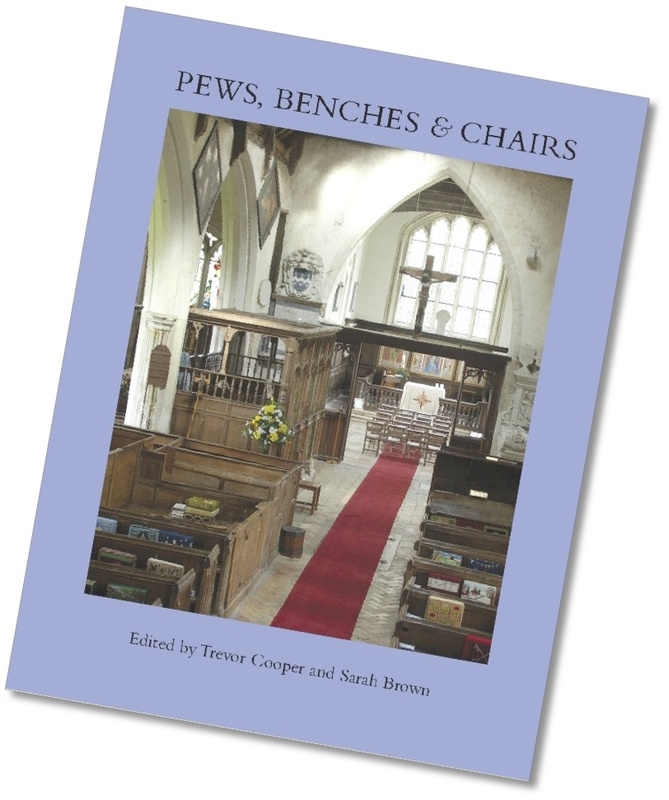 Trevor Cooper and Sarah Brown’s long-awaited book Pews, Benches and Chairs has just been published within the last few days. It is no exaggeration to say that this book could change the life or your church – at least for those churches that struggle with the formalism that comes with Victorian pews. Often churches assume they are unable to change anything about their church, and particularly the pews, but usually there is more freedom than imagined. Conversely other churches may not understand the historic importance of some of their pews. Either way, the key to responsible management of a historic church, and to making the case for change, is a proper understanding of the significance of the items in question. This book helps to fill that gap. The book results from many years of painstaking research, and Trevor himself says that the assumptions with which the editors embarked on this project were changed in the process of the research. For a feel for the scope of the work and the various contributors, the table of contents can be accessed here. The book is copiously illustrated with black and white illustrations which are exceptionally clear. The current cry from the heritage lobby, quite rightly, is for ‘Informed Conservation’. If your church is considering a reordering then this book will equip you with a great deal of relevant information; if you are a consultant working with historic churches then it is essential reading. The book costs £35 (order details on the Ecclesiological Society page), or £25 for Ecclesoc members. At just £12, membership of the society is a bargain – highly recommended. Trevor Cooper is Chairman of Council of the Ecclesiological Society. Sarah Brown is a lecturer in the History of Art at the University of York and Course Director of the MA in Stained Glass Conservation and Heritage Management.